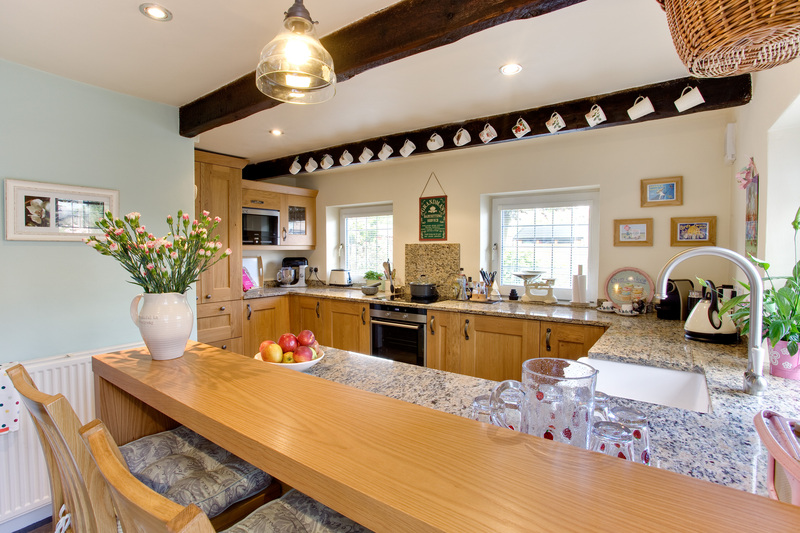 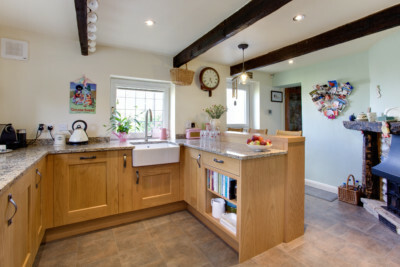 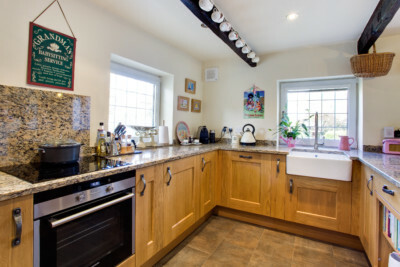 This gorgeous, ultra traditional Ultima Kitchen is property of our extremely happy customer Sue. With her choosing Lyndon oak doors along with a veneered breakfast bar also in Lydon Oak. 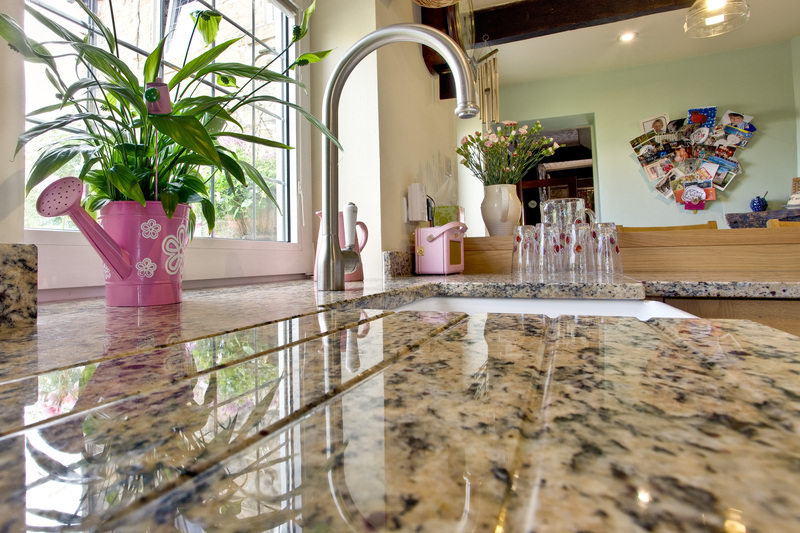 She opted for Granite- Giallo Cecelia worktops, with a Villeroy and Boch farmhouse sink fitted neatly to the underside of the worktop. 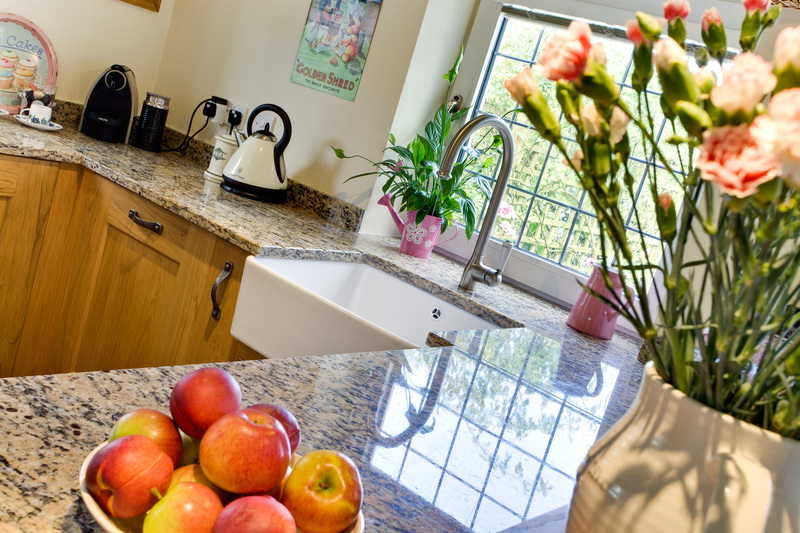 A stunning Franke Belfast stainless steel tap was used, matching perfectly with the traditional style of the sink. 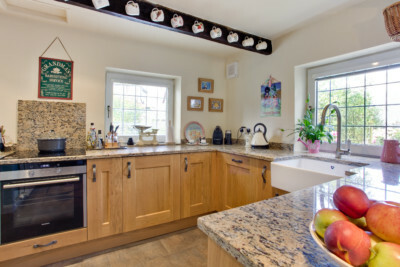 Along with a range of Siemens appliances, to add a modern touch to the kitchen.